The boyish-looking Fritz Miesbauer (right) has already established quite a reputation. One of a two-man team, he propelled the cooperative Freie Weingartner Wachau (FWW) to the forefront of the Austrian wine scene before having to leave. 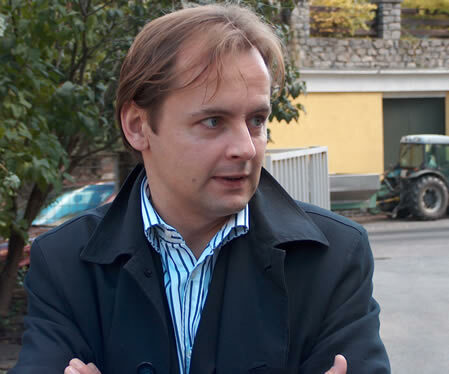 FWW’s loss was the gain of Weingut Stadt Krems, and in just a couple of years (Fritz was appointed in July 2003) he’s made this previously slumbering producer one to watch out for. 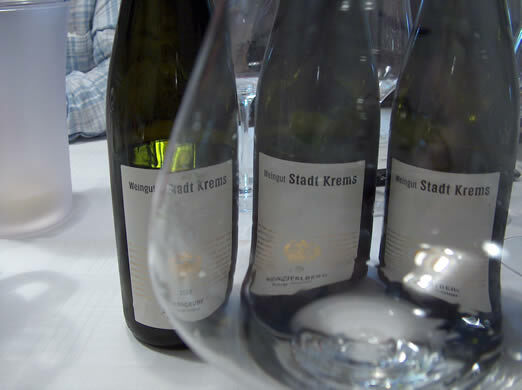 Stadt Krems is rather unusually owned by the municipality of Krems, and has 30 hectares of vineyards all within the city limits. 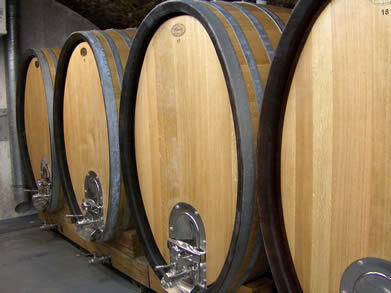 It has been making wine for 550 years. 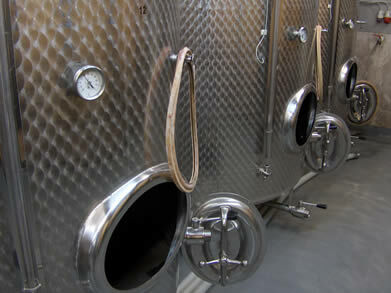 The wines I tried from the 2003 vintage, which were the first ones made here by Fritz, are very impressive. Interestingly, Miesbauer is adopting the novel Vinolok closure for some of the wines: this is a glass stopper with a plastic sealing gasket, topped with a metal cap. A publicity pic from Wine & Partners showing Kathrin Bründlmayer, Fritz Miesbauer, Leopold Figl and Julia Nachförg in the Kögl vineyard. It's very Eurovision, isn't it. Pass the cheese.